Reward your pupils with these stickers displaying the words when marking their work. Choose from a range of motivational phrases such as 'Brilliant', 'Excellent' and 'Very Good'. 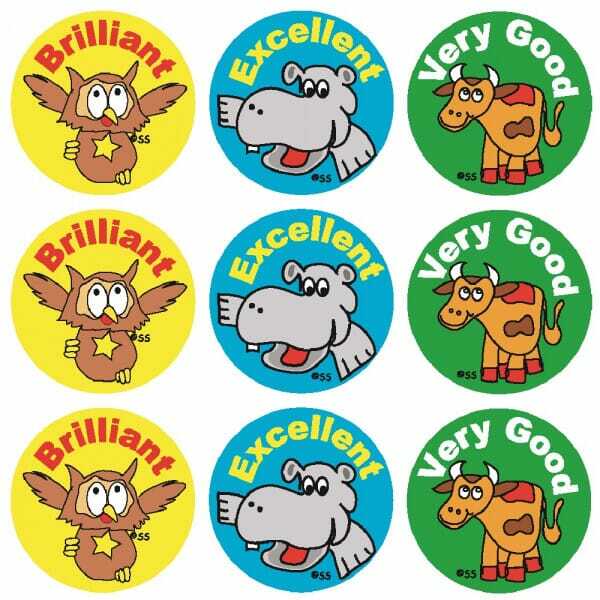 These stickers are a great way to encourage your pupils to continue doing excellent work. 54 stickers sold per pack. Customer evaluation for "Stickers - Brilliant; Excellent"